I had a Lefort 1 Osteomoty (upper jaw surgery) to correct an anterior open bite that could not be corrected with orthodontia alone. After getting my wisdom teeth out, I had braces on for a year leading up to this. I hope this blog can help others gear up for this lifechanging surgery. I read plenty of other blogs before going in for mine, and they helped me out by being mentally prepared. I woke up in OR recovery getting ice packs on my face. The lady who carted me held my hand, wished me a good recovery and set me up with “the button” – that would deliver wonderful hydromorphone through my IV. I was lucid enough to understand the instructions. Face was a little numb, but most of me was numb at the time from the meds, so I’m not sure how bad it actually was. I don’t know how long the surgery was but according to my mom it was around 4 hours. I remember the doc saying the actual surgical part of it was around 2 hours. 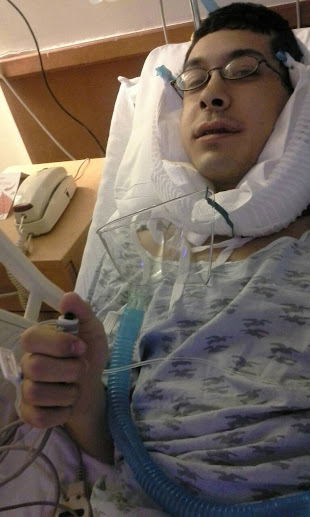 I had to clear my throat a lot right after surgery which felt weird but I was able to do it. 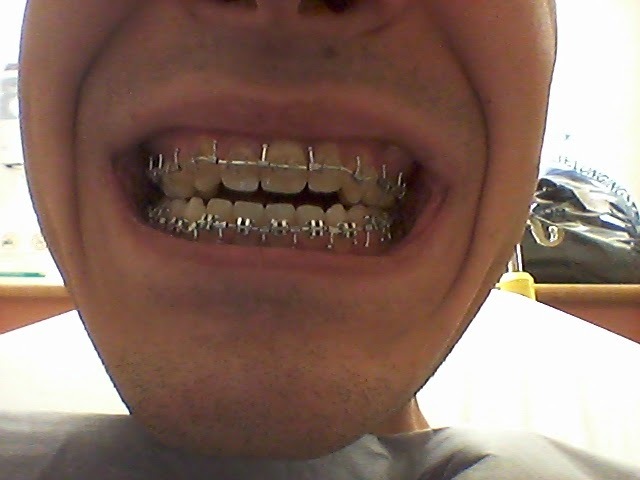 My jaw was wired shut with bands so I couldn’t move it too much. But as long as I clenched down a little bit, clearing my throat was easy. Doc said it would be sore from the breathing tube. My legs were being compressed by something, it felt like a shiatsu massage. There were pressure wraps going up to 50psi on and off, apparently to prevent blot clots in the legs. I kept them on the whole stay, because seriously, shiatsu massage. Then I noticed something I’ve been missing for the last 10 years – the gap in my teeth was closed! 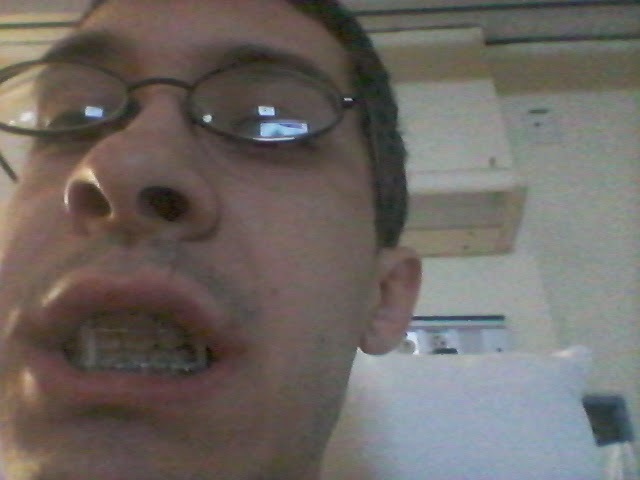 I couldn’t fit my tongue through and I could feel my lower row of teeth hitting the backside of the upper row. This was the best feeling of the day next to the self-regulated hydromorphone I could deliver every 6 minutes. This also confirmed in my somewhat lucid mind that it was over. I felt a wave of relief after that and waited to get rolled out. I chilled out in OR recovery for a while and then got carted down to the main recovery room. Mom and fiancee (Adrianna) met me there shortly after. Can’t see much, as I can’t really spread open my lips, but look! Just looking at my no-longer-open bite in a little mirror made this whole experience thus far all worth it. Surgical staff came to check on me and hospital staff started taking vitals. Doc said I was doing really well and bloodflow and feeling was quickly returning back to my face. Bite looked good too. I read a lot of other blogs before going into this surgery, and most patients had very little to no pain after this surgery. And they were right, there’s very little pain, some discomfort, mostly a lot of inconvenience. I had rubber bands in my mouth already, lucky not ligatures or a splint so I had some leeway in moving my jaw and talking (mumbling). I slept for a while until some food came. Eat (drink) the hospital food, as much as you can. I got lucky and I was able to drink out of a foam cup pretty soon after the surgery. I was on a liquid diet for today. But since not eating since 10pm the last day I was pretty hungry. One of my surgeons came in and told me to power drink water, because I’d have to start peeing otherwise they’d have to cath me. I would most definitely rather not, so I just drank as much as I could. Apparently they also catheterized me during surgery, but I didn’t remember nor feel any post-op pain. I eventually peed in the portable urinal they gave me, so I wouldn’t have to get up through the IVs. Win! No catheter needed. The surgeon scared the pee out of me. Mom and Adrianna went home, I started watching World Series game 2. KC won which was awesome. Doc said he wanted me to try going for a walk. I never did the whole walk-with-IVs-hooked-up which was a fun experience. Tried to get as much sleep as I could, but had to wake up for vitals at 4am. 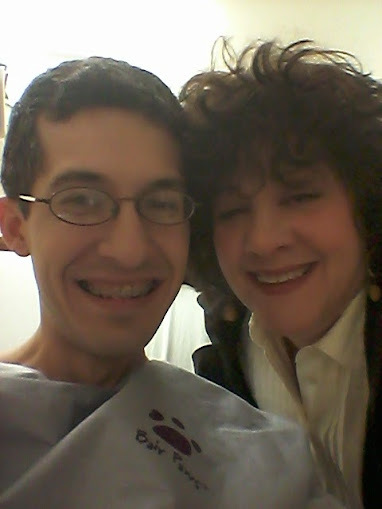 Woke up at 4:45am to get to Thomas Jefferson University Hospital, where my surgery was scheduled for 7:30am. There was an emergency surgery in front of me, so I did end up waiting for a bit. My surgeon came in to update me and that’s when I officially found out that after the workups I did on the 13th, that I was definitely going in for Lefort 1 Osteomoty, no splint, no graft, and no ligatures. I was kinda psyched about that because it meant a shorter recovery time. before – just a little bit, right? The staff at Jefferson were all very nice, very professional. I talked to the anaesthesiologist, the person who was going to intubate me during the surgery, chief surgeon, and some other staff. Got wired up for IV, which I had a feeling was going to be the most painful part of this whole ordeal from reading other blogs. I forgot to take my glasses, but I don’t think they would have let me have them anyways, so I listened to Family Feud on the TV. Relaxed for about an hour, then got wheeled to the OR. I only remembered the OR for a few minutes. Saw the giant operating lights, the 10 or so people that were all getting ready to cut into me. Got lifted onto the operating table, which had wings to support all my limbs. Oxygen mask got placed over my head and that’s all I remember before waking up. Here’s Day -365, which was on June 16th, 2013. 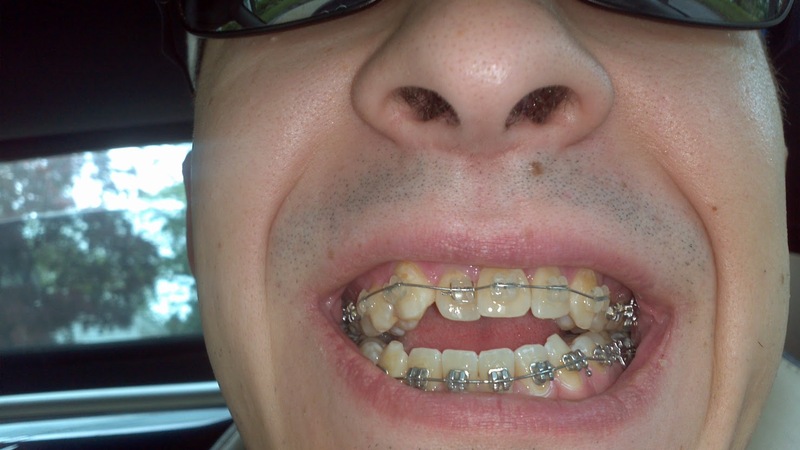 I just got the braces put on. 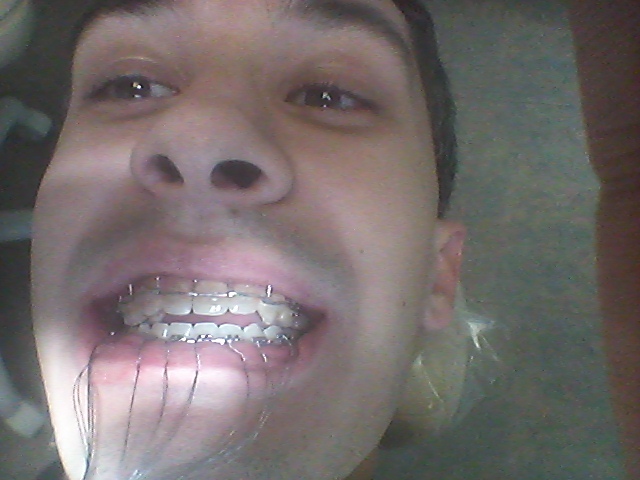 Here’s October 9th, 2014, getting my surgical lugs on. Usually they are rubber, but going into surgery they have to be metal. Look at how much my teeth came together! But there’s still work to be done to get them safely down to my bottom teeth. I’m scheduled in at 7:30 tomorrow for surgery. Nervous, for what I feel is no reason. But my brain still thinks I should panic. I mentally prepared for all of this, and I’m somewhat excited just to get it over with.